When planning a wedding, there are a lot of choices that have to be made. Even if you’ve already decided to opt for a Western-style ceremony, as most people in Japan do, there’s an immense variety in dresses, tuxedos, and reception menus, and narrowing the veritable sea of options down to specific choices can be a daunting task. 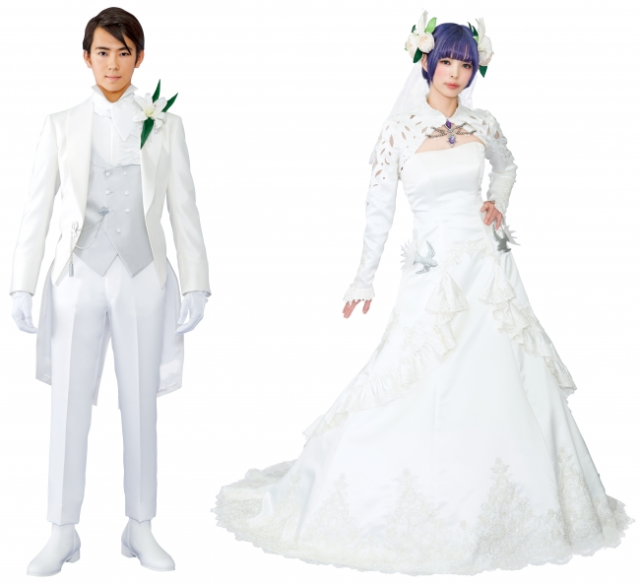 Unless, of course, you’re a "Final Fantasy" fan, since one Japanese chapel is set to offer a "Final Fantasy" wedding ceremony and reception plan. "Final Fantasy" publisher Square Enix has announced a new partnership with Kobe wedding venue Duexzero, which will soon begin giving clients the choice of a Final Fantasy XIV wedding. The specific inspiration comes from the Ceremony of Eternal Bonding from the popular online multiplayer RPG, in which two players can pledge their characters’ hearts to one another. Newlyweds-to-be who select Duexzero’s Final Fantasy XIV Wedding Plan will exchange their vows dressed in recreations of the game’s Garments of Devotion, which means a jaunty, high-collared white tuxedo with gray vest for the groom and a flowing gown with intricate shoulder coverings for the bride accented with dynamic accessories at her hips and chest, as well as in her hair. The Final Fantasy XIV Wedding Plan will also feature special menu items to be served at the reception, and while the mouth-watering hamburgers of Tokyo’s Square Enix Cafe are probably too casual for such a special occasion, the mythical beast-themed cocktails and Buster Sword desserts of the other Final Fantasy restaurants we’ve eaten at are proof that the franchise’s rich lore provides ample opportunity for fare that’s both delicious and artistic. 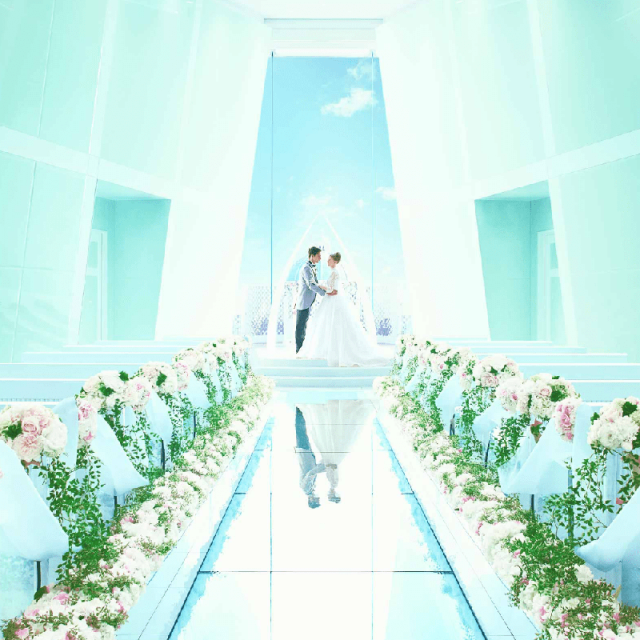 ▼ Even when it’s being used for non-Final Fantasy weddings, Duexzero’s chapel has a definite fantasy vibe. 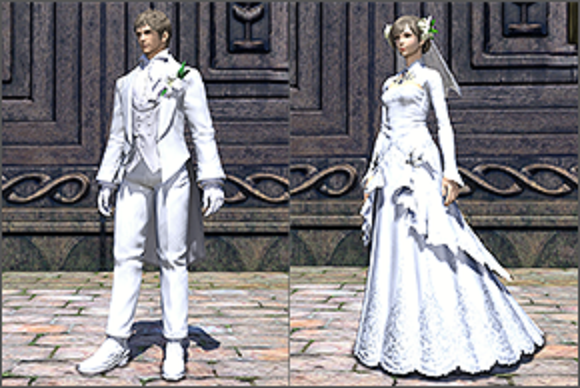 Square Enix and Duexzero are promising to reveal more details on Valentine’s Day, and to start officially offering the Final Fantasy XIV Wedding Plan in 2019, likely ahead of the “June bride” summer wedding rush. Notice how miniscule the heads on those characters are ! There is an obsession with weddings, with little thought given to the actual marriage that comes afterwards. Big wedding, short marriage. As a certified minister, I do approximately 300+ weddings a year. The amount of thought given to dressing up is definitely OTT! And half the time they kick up a stink about kissing each other. I just do the job and get paid. But there are very few ceremonies where genuine love is felt. A lot of pomp and now this crap.